For his 31st birthday, Scott Harrison threw a giant party at a club and asked each of his 700 guests for $20. He didn't want it for gifts or to cover the bar tab. All of the money went directly to a refugee camp in Uganda. Ten years later, the idea of "donating" a birthday to charity has spread, thanks in part to Harrison's organization charity: water and to easy online donation options. Everyone from celebrities like Jada Smith and Justin Bieber to unfamous kids have started asking for donations instead of presents on social media. Now Facebook (FB) is testing a new feature that makes birthday fundraisers official. 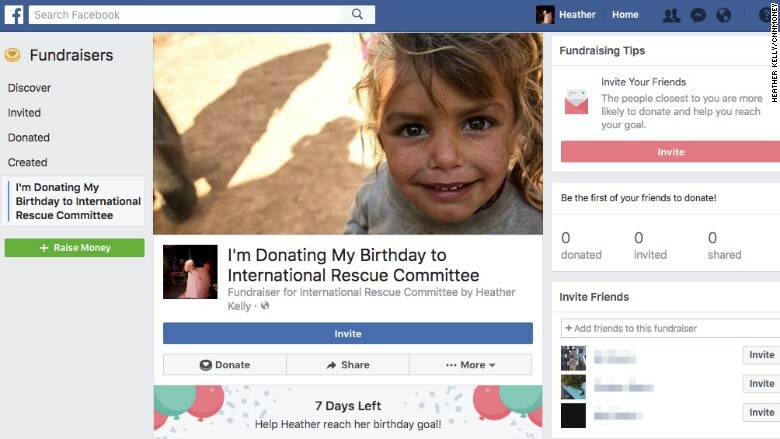 Some Facebook users are being prompted to "donate" their birthday to a favorite charity. They select one of the 750,000 U.S. nonprofits on Facebook, set a goal amount and enter a custom message. Friends will see the post and a prompt to donate. The mini-fundraiser is automatically public, and ends at midnight on your birthday. Birthdays on Facebook have taken on a weird life of their own. Often it's where you leave well wishes when you're not close enough to a person to call or text or grab a birthday margarita. Posts vary from sweet personal messages to the minimalist "hbd." If you don't like a person enough to spell out "Happy Birthday," will you feel compelled to donate to a dog shelter in their name? "People will do stuff for you birthday they wouldn't normally do other times," says Harrison. However, he says passively posting a request for donations on Facebook or Twitter isn't nearly as effective as contacting someone directly over email, text or in person. The new Facebook feature encourages you to "invite" your closest friends or entire groups to the fundraiser for this reason. "I feel like once the novelty wears off and all of our friends are using their birthdays to raise money, compassion fatigue would set in. It feels a little emotionally manipulative," said Jessica. 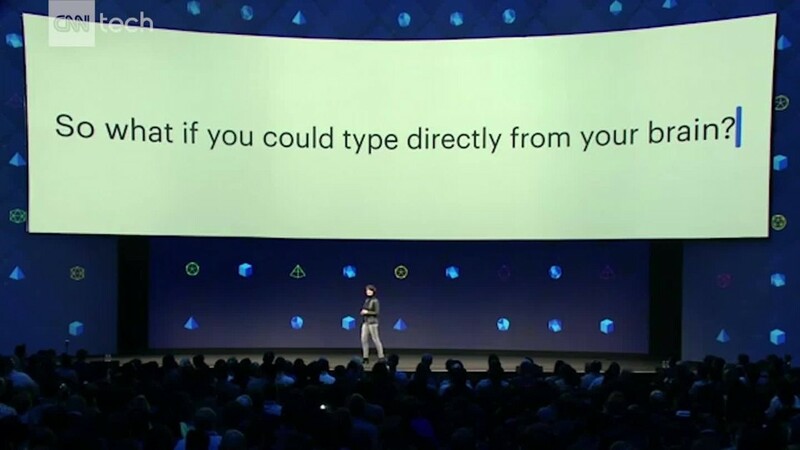 Many were unsure about Facebook's cut. The company takes a fairly standard 5% fee from donations. Of that, 3% is to cover payment processing and 2% goes to administrative costs like vetting nonprofits and fraud protection. "It might be worth it if it significantly increases the number of people who respond," said Eliza, "But I'd much rather donate directly so all my money goes to the nonprofit." A Facebook spokesperson confirmed the test and said its charitable giving tools are meant to be complementary to a nonprofit's existing efforts. It's unclear when or if the feature will be launched to everyone. Facebook has been investing more in its fundraising products recently to compete with sites like GoFundMe. In March, it launched personal fundraisers for people to raise money for themselves or friends to cover things like medical bills. Update: Facebook released the birthday-donation feature to all U.S. users on August 16.